With Christmas on the horizon, Christians are beginning to ponder the mystery of incarnation, wherein we understand that the glory of God has been revealed to us in the person of Jesus. Bruce Epperly is nearing the close of his time in Claremont and sends this postcard about what it means to think and live incarnationally -- how we can be as he notes here "little Christs." As you consider your pathway to Christmas perhaps you will find inspiration from Bruce's reflections. May we live in a way that God is revealed in our midst. This week, I’ll be speaking on the incarnation at a local Disciples of Christ congregation. Incarnation is an appropriate subject for a Claremont theologian and for the Claremont community. Incarnation is at the heart of process theology and Claremont’s message of healing the world. Process theology asserts that the world lives by the incarnation of God in our moment by moment experiences as well as the long arc of history. Christ is embodied in the child of Bethlehem and in the birth and maturing of every boy and girl. Christ is not a supernatural intrusion into our daily lives, unrelated to the everyday world and acting from the outside; Christ is the deepest reality of all things. Wherever truth and healing are found, even in other religious traditions, the reality present in Christ is at work. While these religions may not describe their spiritual ultimate in theistic or Christological ways or speak of human fulfillment in ways similar to Christians, the inspiration of Claremont Lincoln University, Claremont’s interreligious graduate school, is that truth and wisdom are found in all the great religious traditions. The presence of holiness and wholeness in each tradition undergirds our quest for interreligious synergy and dialogue. Spiritual “others” are companions, not strangers, who reveal the holy to us in conversation and common cause. Difference is not a fall from grace; it is a reflection of divine creativity and generosity. Recognizing God’s presence in all quests for truth, we affirm members of other faiths as persons with whom we can learn as well as teach. Jesus as the Christ does not have to be unique to be significant for our healing and wholeness. God who is present everywhere is also present personally and uniquely in the life, teachings, and healing ministry of Jesus. The universal quest for beauty and also is variable in its expression. God can choose to be more active in some places than others just as we can express ourselves more fully in certain situations than others. Life is a dynamic call and response in which God calls in unique ways eliciting our own creative responses. Jesus as the Christ was “chosen” given his unique spiritual and historical context, and Jesus “chose” to say “yes” to God’s call in unique and transformative ways. Moment by moment Jesus lived in synchronicity with God’s aims at healing and wholeness and shared these aims throughout his life for our transformation and salvation. 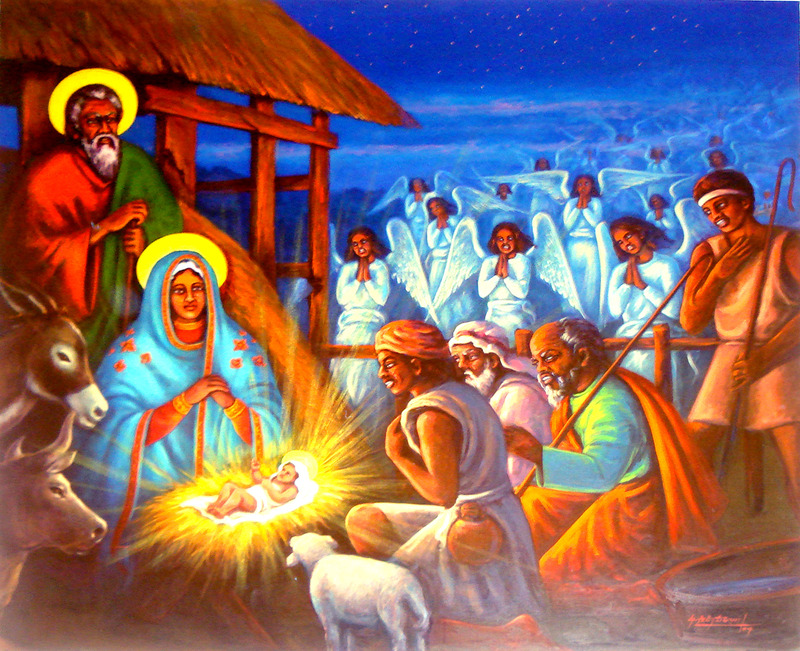 The incarnation is a naturalistic phenomenon. The whole earth is full of God’s glory and, in his ministry, teaching, and healing, Jesus fully expressed God’s glory. An early church theologian said the “glory of God is a human fully alive.” Jesus was “fully alive” in sharing God’s vision and the energy to embody it. In a world that is “charged with the grandeur of God,” Jesus fully experienced, expressed, and conveyed God’s glory to us. Seen in terms of interdependence and relationality, rather than substantiality, atonement is a natural expression of God’s love, moving providentially through natural processes of cause and effect, to bring about healing and wholeness of body, mind, spirit, and relationships. Atonement is not about violence and death, although it may entail sacrifice; it is about unity and love and overcoming the alienation we often feel from ourselves and others. Atonement reflects God’s energy that lives on in Jesus’ impact on our lives each moment of the day. Christmas is about Christ being born in us. The coming Emmanuel emerges in our daily life, bringing us life and light. Through Christ’s vision and energy, we can also become words of God, full of grace, truth, and beauty. The joy of Christmas, whether in Claremont or Costa Rica, is our companionship with Christ in which the same energies and possibilities that lived in Jesus are born in us. As Jesus himself said, we can do greater things when we shape our lives around his loving energy. Living by a relational understanding of incarnation, we can truly be little Christs (as Luther asserted) mediating Christ’s wisdom in every situation. My semester in Claremont has been all about incarnation, about living fully and inviting my students to be fully alive in their integration of study, spirituality, growth, and ethics in the quest to heal the Earth. When I return to the East Coast, this same incarnational spirit will travel with me, guiding and energizing my work in the pulpit and classroom and giving life and light to all my relationships.